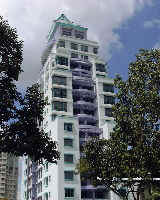 This 14-storey condominium complex is situated in northeast Singapore, close to a subway station. 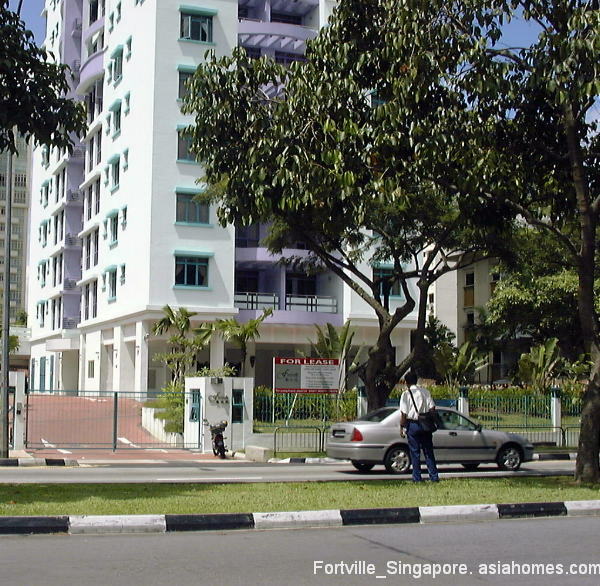 Its 248 units include two- and three-bedroom units and penthouses. Amenities include a clubhouse with a Jacuzzi, swimming pool, tennis court, children's playground, and barbecue area. Long-term lease only. 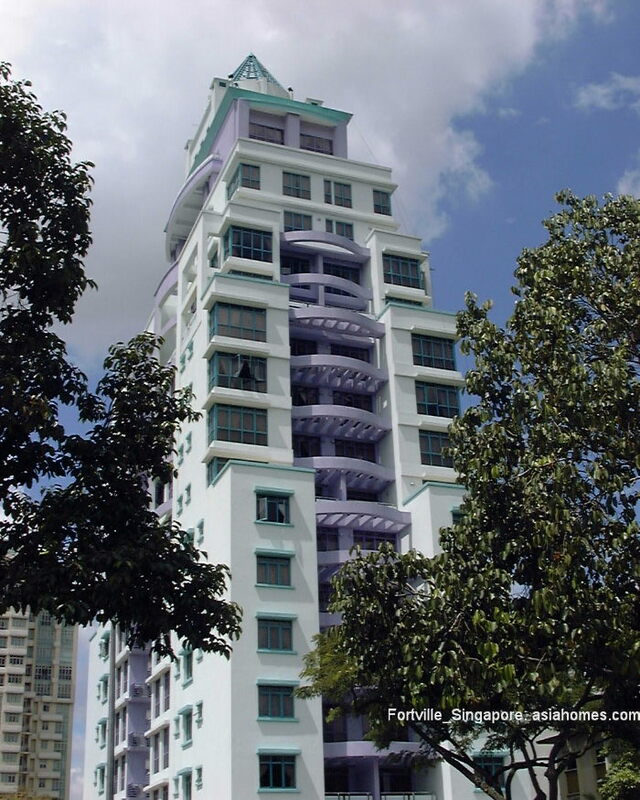 This 12-storey condominium lies off River Valley Road, near the Orchard Road shopping district has 108 units. Two-bedroom units of 947 square feet, three-bedroom units of 1,302 square feet, and penthouses of 2,637 square feet. Amenities include high-speed Internet access, swimming pool, gym, barbecue area and playground. Long-term lease only.